Medio Pollito is tired of being a big fish in a small pond. At least, that's what he thinks he is. In fact, he's the smallest chicken in a big yard, but his opinion of himself is big enough for two. So he decides to go to the city and see the king. His mother gives him two words of advice: be polite and helpful to everyone and keep away from the cook in the king's kitchen. 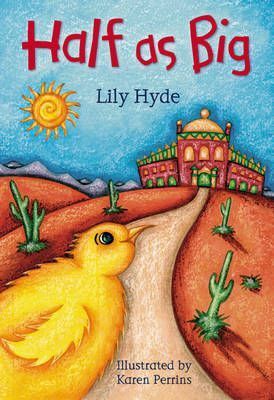 Unfortunately, Medio Pollito doesn't listen to her...Book band: Purple Ideal for ages: 5+ Half as Big is a retelling of a Mexican folk tale.